I am so honored to have this opportunity to share about a brand new blog launching September 20th, for ladies just like you. My name is Rachel and I am the co-founder of The Pearl Press. I am on a team of 14 ladies who are 100% committed to living life as God intended it to be. 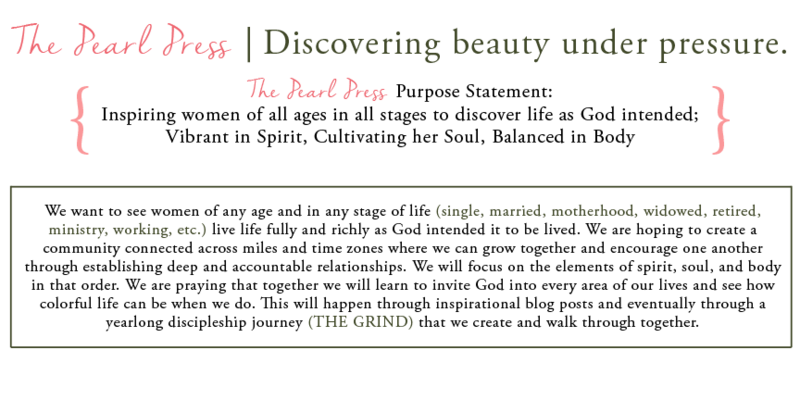 So just briefly let me share with you what The Pearl Press is all about. 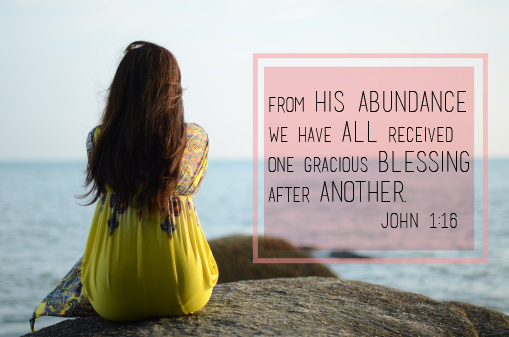 Every week on The Pearl Press we will share 3 posts addressing our spirit, soul, and body. Below is a post focused on cultivating our souls and is very similar to something you would read on The Pearl Press every Tuesday. Inevitably at some point in our lives, we all ponder the meaning and the purpose of life. It turns out, life is meant for a whole lot of living. Not just the kind of living where you breathe in and breathe out and go through the motions of life day after day, after day. The sort of living where every day is a new day and a fresh opportunity to make the most of the one life you've been given. The kind of living that looks for the extraordinary in any old, ordinary, day! The kind of living that can always find a reason to celebrate, because after all, every day has the potential to be a special occasion. Living with joy and passion and might I even say, a little zest ! Maybe it's a bit silly that I celebrate things like National Teddy Bear Day, Make your own Pizza Day, and the birth of the precious little Prince Georgie over in London. Perhaps I would have scored a few points higher on my final exams in college had I not been up all night with the girls on my hall eating crackers and sipping tea in dresses while we watched the Royal Wedding. And maybe my fluffy little puppy doesn't need homemade puppy cookies and cupcakes for every single birthday. But it is in those little occasions where life is the fullest. If I reach the end of a year and in reflection can only remember a lot of check marks on a lot of lists, then did I actually do anything at all? Sure, I got a lot of stuff done, but did I make any memories or grow closer to any friends? Do I remember the times I laughed, the times I cried, or the times I thought I didn't want to remember? 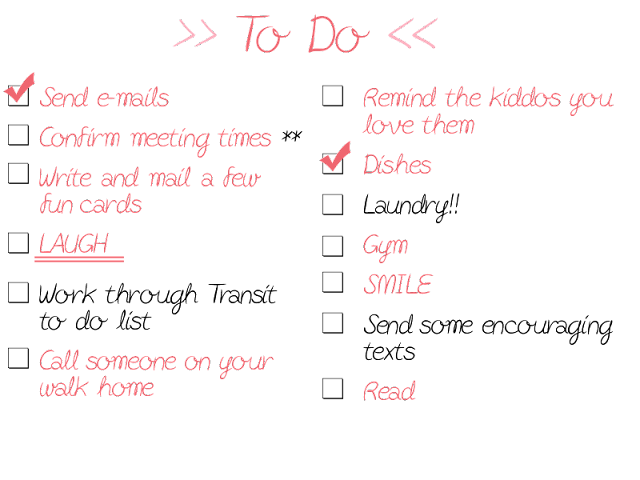 Because I can tell you this much, while To Do lists are a necessary part of life (and believe me I love them) they do not add or fulfill the purpose of our life. Our itemized lists are full of stuff that truly have purpose, but none of them are our purpose. The stuff we have to accomplish every day is simply that… stuff. All of it is merely part of the greater, grander story! I laughed back in college when I made this discovery, but now I see I may have actually been onto something! I used to put "nap" on my To Do lists every now and again so that when I woke up I could cross something off. I wanted to feel as though I had accomplished something, and not wasted time. I guess it was silly, but now I see that there was something fundamentally right about that. Maybe if we would start including these seemingly silly things on our To Do lists, we would actually be convinced that in the simplest parts of life we are indeed accomplishing GREAT things! They may not be physical, tangible things that we can see or touch, but they are the things that truly bring purpose and joy to living. I admit it! I am so guilty of being a Do-er...I always need to feel like I am doing something or getting something checked off of a list. However, I have learned that far better than doing is being; allowing ourselves to simply be present in every moment. Doing often causes us to become unaware of our surroundings, causing us to miss out on a lot of beauty in life. But being, on the other hand, allows us to embrace and take in that beauty, fueling all the doing that must still be done. It's official now. I am (over) a quarter of a century old. Every single day I am closer to 30 than I am to 20. On one hand, that's a little scary, but on the other I'm pretty okay with it. When I look at what Jesus and I have managed to squeeze into 27 short years, I feel like we're on a roll! I am thankful for the one life He has given me and for the grace He has given that allows me to live it to the fullest. He has filled this world and our lives with endless amounts of beauty and joy, more than we could ever possibly even begin to see in one lifetime. So let's get to it. See all your eyes can capture. Feel all your hands can hold. Breathe in as much as your lungs can hold. I can assure you there will be more living to do every single day. Enough to fill an infinite amount of To Do lists. Fill them if you must, but fill them with a whole lot of living.